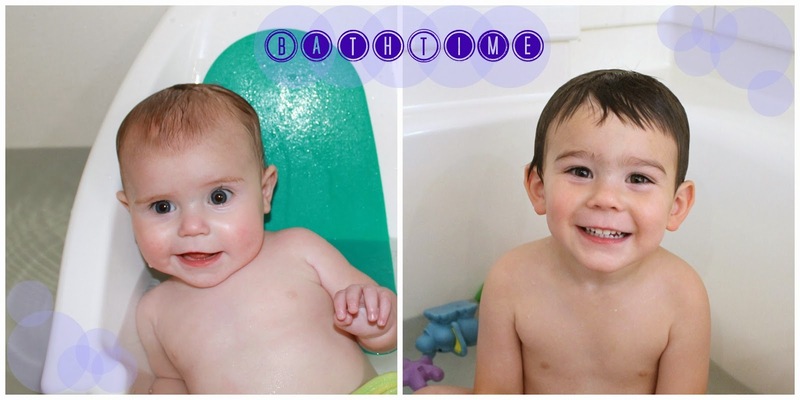 It is week three of my five-part series of Nuby products as part of the Nuby Mommy Blogger program. Nuby offers a lot of great products for babies and kids. So far I've highlighted a couple of their cups for feeding your baby and your toddler. Today, I'm going to switch gears and talk bath time by reviewing Nuby's Tear Free Rinse Pail. No body likes getting water in their eyes, especially soapy water. But it almost seems inevitable that children taking baths will get water in their eyes because they haven't learned to close their eyes when water goes over their face. How many Moms out there can relate with me about having an upset and frustrated child during bath time due to just this? To address this bath time meltdown I decided to try Nuby's Tear Free Rinse Pail. 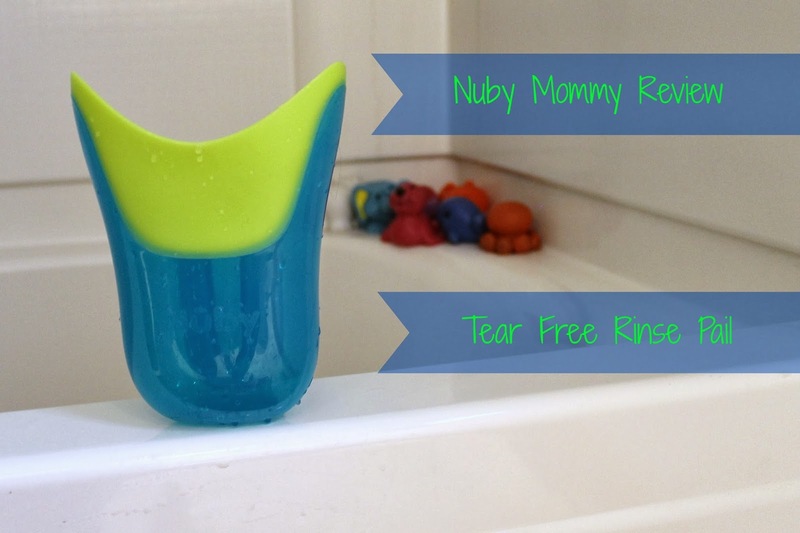 Nuby's Tear Free Rinse Pail is designed with a "comfort" flexible edge that you lay against your child's forehead so water goes around just their face. I've been trying this cup out for a few weeks with LP. Him and I are really enjoying it versus my plastic drink cup I used before. Now I wouldn't say absolutely no water will get in your child's face, but I would say a much less and bearable amount does, opposed to a regular cup. As a result, I wouldn't recommend this as a must have product for every family with small children, but I would say it is something nice and helpful to have. We have officially switched to the Tear Free Rinse Pail and have put away the plastic drink cup in our house. What are you must have "tools" for bath time at your house?